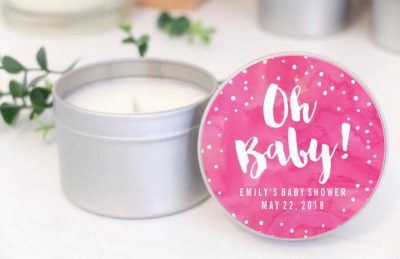 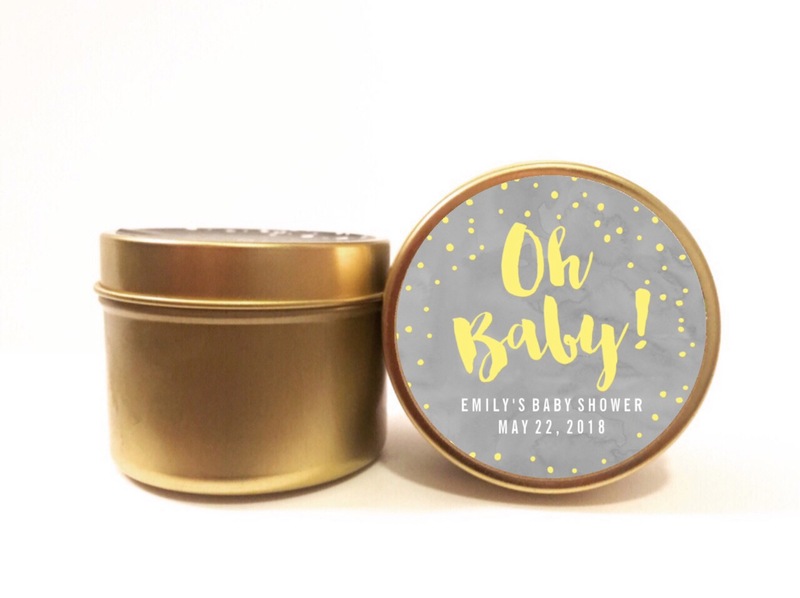 These personalised soy candle favours in a Oh Baby Design are an essential thank you gift for your baby shower. 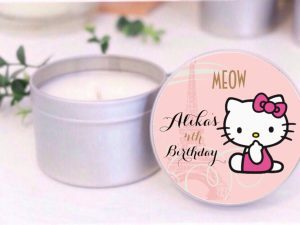 Available in an array of beautifully scented fragrances, these soy candles are the perfect party favour gift. 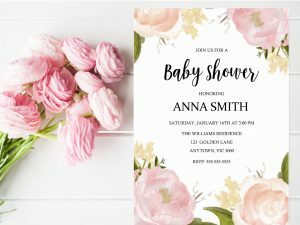 These favors can be personalised for any other event such as baptisms and birthdays. Please leave a note with your order as to what you want written on the label.